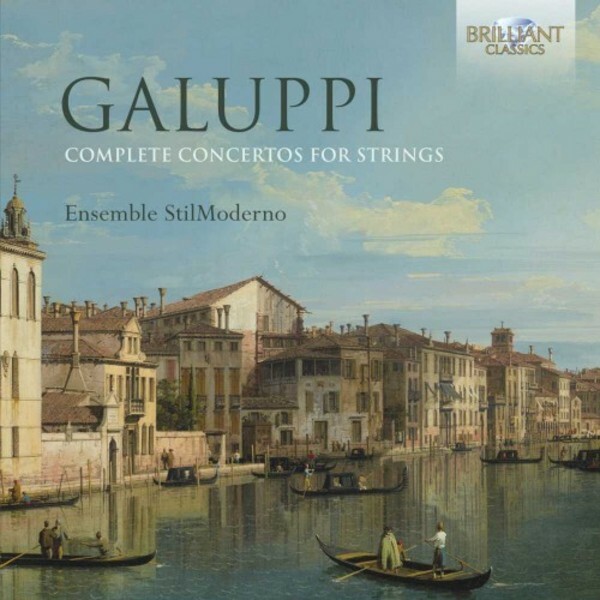 For the first time complete on CD: the complete Concertos for Strings by Galuppi. Baldassare Galuppi was an important and highly successful composer in 18th century Italy. A student of Antonio Lotti, he was well schooled in solid counterpoint, and his compositions form a perfect marriage between the 'old fashioned' counterpoint and the 'modern' predominance of melody. They are charming, elegant and well-crafted works, a delight of melodic invention and instrumental brilliance. Excellent liner notes, written by the artists, are included.